I’ve been fortunate to live in very walkable cities for the majority of my adulthood – Ann Arbor, Seoul, Chicago, and DC. I fell in love with exploring cities on foot and mastering the art of public transit. So while I’m loving LA for its weather, food, and all my new adventures, I’m not a fan of the fact that I can’t really get anywhere without a car (although, I do ride the Metro almost every day and it’s been great to get to and from work so far). I’m starting a new job next week and I won’t be able to Metro to it anymore. The past couple weekends, R has been so sweet and has given up what little free time he has to take me to test drive cars. Cars aren’t important to me, so I was looking for inexpensive, compact cars that got good gas mileage. After hours of test driving, researching, and pleading with R and others to just tell me what to get, I finally decided and I drove home my new car last night! I test drove the Hyundai Accent, Toyota Yaris, Ford Fiesta, and the Honda Fit and in the end I just knew I’d be happiest with the Fit. Although it didn’t have all the bells and whistles of the Ford Fiesta (like Bluetooth and voice activated features), it was much roomier and had better visibility than the Fiesta and the others. It also felt most like a car I’d still be happy driving five years from now. Now, this is a huge deal for me. Not only is it my very first car I’ve ever purchased on my own, but it’s the only new car I’ve ever driven, and the first car I’ve had of any kind since 2004. When I turned 16, my parents let me have their 1986 Acura Integra. It was cute and little and fun to drive. Unfortunately, shortly after I got it someone ran into the back of it and dented it in. I never got it fixed so my “Silver Bullet” turned into quite the looker and got nicknamed the “Gas Chamber” by my friends who were unlucky enough to have to sit in the backseat. I’m glad I never got it fixed though because very shortly after, my poor car had her Bat Mitzvah and completely broke down. We had to get it towed from my high school parking lot. That car was a piece of work. When it was still running it drank up oil like crazy. Imagine a tiny 16 year old Asian girl popping the hood up to check the oil stick and pour in oil. Yeah, that was me. Instead of being embarrassed I remember feeling pretty badass. 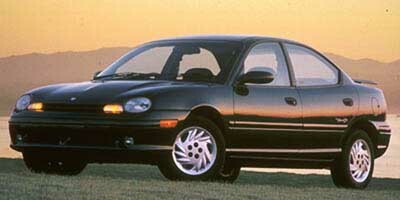 After the passing of my Integra, my dad gave me his 1998 Dodge Neon. I don’t remember much about this car. It was pretty goofy-looking, but I liked it just fine because it got me from point A to point B. And I didn’t have to inhale exhaust fumes while driving. Bonus. I went off to college and didn’t have or need a car for most of the time. My senior year, my dad handed me down his 2001 Saturn SL. It served me just fine. That is, until the great Ann Arbor flood of 2004 when the poor guy was parked at a bottom of a hill and its engine was completely submerged in water for a day. It did not recover from that and I haven’t had a car since. Fast forward 8 years later and I’m driving off the lot in my brand new Honda Fit. I love the car and I love that I got a pretty good deal on it even more. I walked in with my objective criteria and reservations points, thinking about ZOPAs, BATNAs, and increasing the pie. My negotiations professor would’ve been proud. The car is super cute and I am so glad I was patient and kept looking for a white one instead of settling on the silver. MWG, car owner. I guess I’m officially LA now! Yay for white cars in LA! =) When did you change the look of your blog? I like! My first car was a toyota corolla ’84. Great memories in that box!